Virgin TV strengthens 3D film line-up | What Hi-Fi? Virgin TV is boosting its 3D film offering with additional titles from Disney and Paramount Pictures. 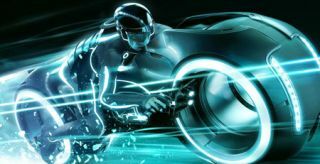 From this month 3D movies such as Jackass 3D and Disney's TRON: Legacy will be available on Virgin's on-demand film service. Further 3D films will join the line-up over the coming months, says Virgin. Aleks Habdank, director of on-demand television at Virgin Media, says: "We're thrilled to be adding this exciting range of new movies to our 3D video-on-demand service from two of the biggest Hollywood studios." 3D films already available on Virgin include Alpha & Omega, Despicable Me, Legends of the Guardians - The Owls of Ga'Hoole, Saw: The Final Chapter, Streetdance, My Soul To Take and The Hole. They cost from £3.99 to £6.49 per film. Any Virgin TV customer with a V HD, V+ HD or TiVo set-top box can view the 3D films, as long as they have a 3D TV and glasses.